This Week’s Reads from our local library! 04/17/2018 11:51 AM by Adam M.
First, a bit of thanks to all of you who came by and supported the efforts of your local library during National Library Week! We had more than 40 patrons of the East End Branch Library who were interviewed, talking about why the library is important in the City of Richmond, as well as sharing some of their favorite memories of libraries in their lives. Though I know we thanked you after the interview, thank you again! We’ve also been combing through the results of the Community Survey that we held during the month of March, learning about what our community wants from the library. The results were enlightening, and we’re looking forward to rolling out some new programs in the future, based on what you had to say. Thank you for all who participated in the survey. Since it would hardly be fitting for us to talk about libraries without talking about books, I am pleased to share some of the newest titles with all of you. 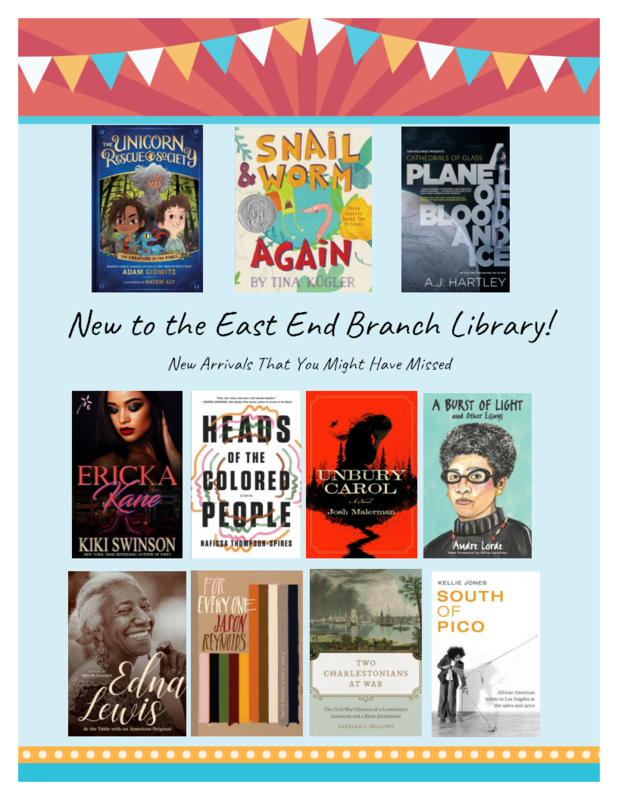 We received more than a dozen new books this past week, and here are a few of the hottest titles to reach the East End Branch this last week! 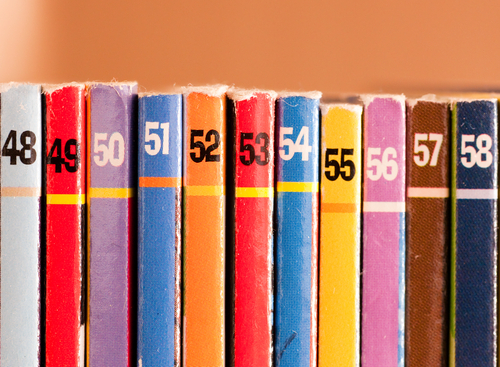 And remember: if there’s a book that you’d like to see on our shelves, please swing by the East End Branch and let us know – we’re here to be YOUR library! 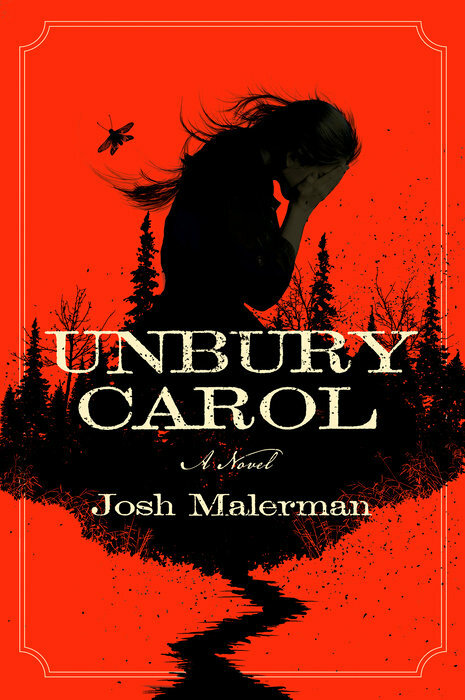 In this novel by the best-selling author of Bird Box, a woman prone to secret temporary comas that make her appear to be dead receives protection from a redemption-seeking former lover who would save her from being buried alive by her fortune-hunting husband. 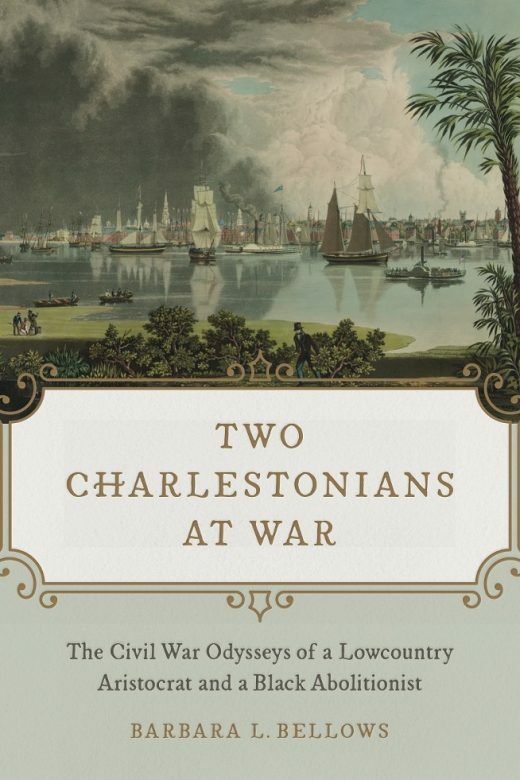 Tracing the intersecting lives of a Confederate plantation owner and a free black Union soldier, this book offers a poignant allegory of the fraught, interdependent relationship between wartime enemies in the Civil War South. Through the eyes of these very different soldiers, Bellows brings a remarkable, new perspective to the oft-told saga of the Civil War. Sentenced to be re-educated on the moon of Jerem, a group of teens are placed in stasis on a spaceship for a six-day journey, only to discover they are not prepared to rely on upon each other. 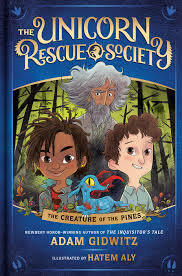 After encountering a Jersey Devil while on a field trip to the Pine Barrens, Elliot and his new friend Uchenna help their weird teacher Professor Fauna rescue the mythological creature from a pair of greedy billionaire brothers. Remember that a library card with the Richmond Public Library is FREE if you’ve never had one with us before, and only costs a dollar to replace (for those who may have permanently “misplaced” their card). We now also offer an e-card, so you can get access to e-books, e-audiobooks, and stream movies and tv shows through our online resources. You can get the e-card here, and can get a free library card at any location as long as you bring your photo ID that has your current address on it (or proof of your address, like a bill or a lease).